Motherhood Cafe Mama, Allison Earl, says, "My entire family loves these. Plus, they're vegan so you don't feel guilty!" Moist and chocolatey, you won't believe that these muffins are healthy, almost completely fat-free and have a veggie slipped in! This is also a great way to use up all that leftover summer harvest zucchini! Instructions: Preheat oven to 350F. Grease muffin pan and set aside. If using paper liners, lightly spray inside of liners with cooking spray to prevent sticking. Whisk flour, cocoa, baking powder, baking soda, salt and cinnamon together. In another bowl, cream mashed banana with applesauce and sugar (use extra 1/2 cup for a very sweet, dessert-like muffin). Add in soymilk, vanilla, zucchini and any other optional add-ins you might like such as vegan chocolate chips or chopped raw walnuts. Stir until evenly combined. Add flour mix to wet mix in 3-4 batches and stir until just combined. Spoon batter into greased muffin pan and bake 18-25 minutes, or until a toothpick inserted into the center comes out clean. 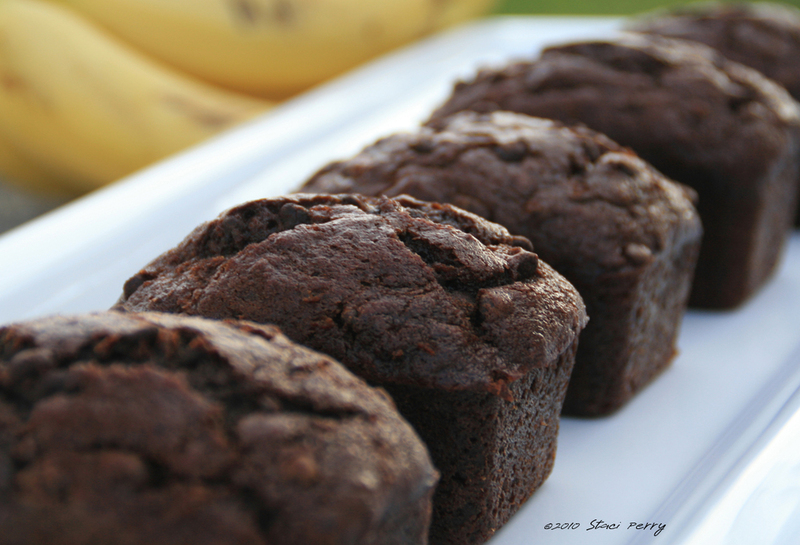 Note: These muffins store well both in the fridge and freezer & the raw sugar in this recipe may be reduced to 1/4 cup. This recipe was originally posted on the blog, The Happy Herbivore. Image by Staci Perry.